As You Like It, 42nd Street and Cinderella have all seen their runs extended this summer. It looks like Vancouver audiences can’t seem to get enough of three summer theatre offerings as both the Bard on the Beach Shakespeare Festival and Theatre Under The Stars have announced additional performances of As You Like It, Cinderella, and 42nd Street. 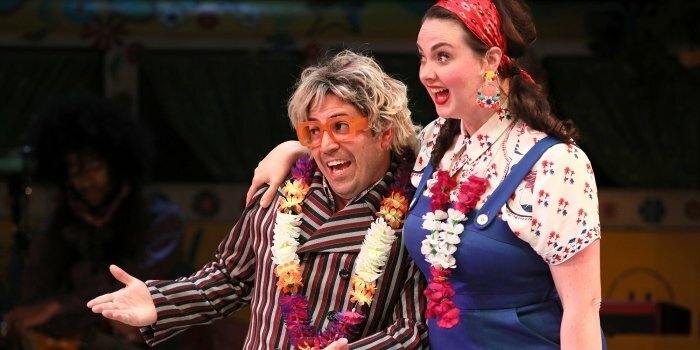 Citing record-breaking demand its 1960s-inspired and Beatles-infused production of As You Like It, Bard on the Beach has extended the show’s run by a week. It is also a show this reviewer said was “destined to be the hit of the summer“, a statement which has become reality. Touchstone (Kayvon Khoshkam) and Emma Slipp (Audrey) find an unlikely love in the Bard on the Beach production of As You Like It. Photo by Tim Matheson. In a statement, Bard’s artistic director Christopher Gaze says while all four of its plays this year are breaking attendance records, As You Like It is a “unique phenomenon”, resulting in an extension of a show for the first time in the Festival’s 47-year history. Additional performances of As You Like It are scheduled for September 25-28. Visit bardonthebeach.org for tickets and information. 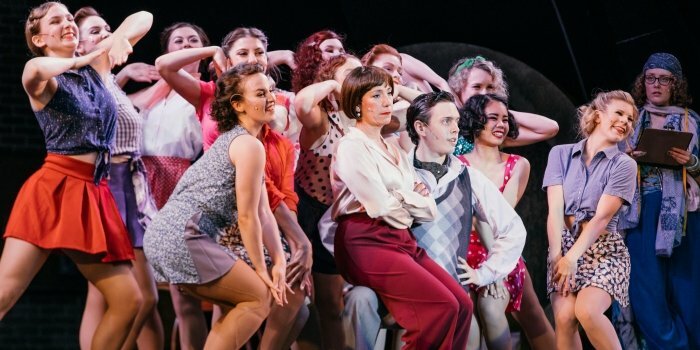 In a second media release this week, Theatre Under The Stars announced its productions of Rodgers & Hammerstein’s Cinderella and 42nd Street have both been extended by one week. Paige Fraser, Janet Gigliotti, and Blake Sartin with the cast of the Theatre Under The Stars production of 42nd Street. Photo by Lindsay Elliott. 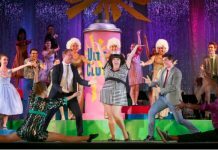 This is the fifth consecutive year of extending performance runs at this long-running summer tradition, which literally performs under the stars at Stanley Park’s Malkin Bowl. 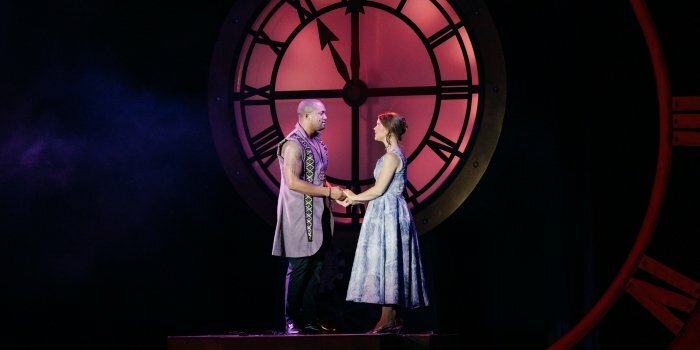 Tré Cotten as Prince Topher and Mallory James as Cinderella in the Theatre Under The Stars production of Rodgers + Hammerstein’s Cinderella. Photo by Lindsay Elliott. The newly added performances will now run on alternating evenings at Malkin Bowl in Stanley Park through August 25. Visit tuts.ca for tickets and information.